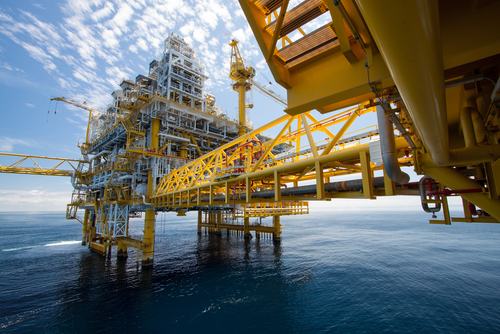 The oil and gas industry is considered to be one of the biggest sectors in the world. It impacts global economies and environmental concerns. It generates hundreds of billions of dollars globally annually. It continues to be an industry that is relevant because of the ever-increasing need for fuel. Let’s look at some of the facts that give some insight into the oil and gas industry. According to BBC News, global oil consumption is roughly 100 million barrels of oil and liquid fuels a day, which amounts to more than 36 billion barrels annually. There continues to be an increase in this number and estimated projections indicate that global oil consumption will continue to increase into the future. The increasing popularity of alternative and green energy resources seems to do little to curb oil consumption. As a result of the limits to oil production, not all the world’s oil is recoverable. “Oil reserves’ refer to an estimate of how much oil in a reservoir that can be technically and economically extracted under current technological constraints. According to the U.S Energy Information Administration (EIA), current recovery factors for oil fields around the world typically range between 10 and 60%, while some are over 80%. Factors that prevents extraction include rock permeability, natural pressure and the oil’s viscosity. The United States is currently the largest global crude oil producer. The EIA reported that in February 2018, U.S. crude oil production exceeded that of Saudi Arabia for the first time in over two decades, and in June and August of 2018, the United States surpassed Russia in crude oil production for the first time since February 1999. The U.S has increased its energy independence and production output, which is a boost for oil and gas companies in the country. On average, professionals in the oil and gas industry in Australia and Oceania are the third best compensated oil and gas workers in the world. While salaries in Europe and Africa lead the way with the top salaries in the oil and gas industry, at roughly $109k USD and $98k USD annually respectively, the Australia region’ compensation is close behind, averaging $94k USD annually. In recent years, compensation has increased, in spite of competition from renewable energy. Qatar has become one of the biggest exporters of natural gas and the biggest exporter of liquid gas or LNG in the world. According to the Gas Exporting Countries Forum (GECF), Qatar proven natural gas reserves stand at approximately 25 trillion cubic meters, holding almost 14% of total world natural gas reserves, and the majority of Qatar’s natural gas is situated in the massive offshore North Field, which spans an area roughly equivalent to Qatar itself. The oil and gas industry doesn’t appear to be slowing down. The world’s dependence on oil continues to grow and is expected to continue into the future. It will continue to be a thriving industry based on present forecasts. For all your Gas and Oil needs, look no further than Interstate Gas & Oil. Give us a call today at (978)-443-2300 or fill out a contact form.